If you don’t like this post, you’ll be Thorry. Terrible jokes aside, Marvel’s The Avengers: Age of Ultron is going to be the newest and most anticipated installment of the Marvel Cinematic Universe, and it’s coming out this May! Today, Marvel released a new trailer to showcase Scarlet Witch and Quicksilver, two new members to the Avengers team as far as the movies go. The Maximoff twins have actually been part of the Avengers for decades in the comics, though. Our Avengers infographic has the whole run-down of the comic series, along with a few facts about the Avengers you probably didn’t know. Keep on scrolling to check it out! 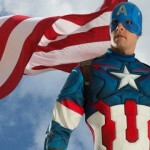 Also, you can take our Avengers quiz to find out which Avenger you are! If you liked this post and want to see more like it, then let us know! 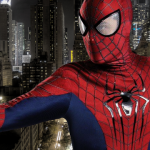 Tell us what costumes and themes we should talk about next on Twitter @BuyCostumes or on our Facebook page. 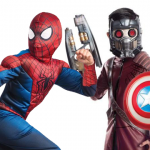 You can also check out our Pinterest boards for some awesome Avengers costumes ideas (as well as costume ideas for pretty much every costume theme, ever). 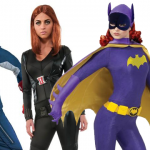 Click here to browse all Avengers costumes on BuyCostumes.com. 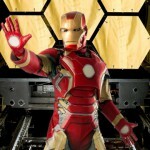 Click here to browse all superhero costumes and comic book costumes on BuyCostumes.com. I love the Avengers:Infinity War soooo much.